We believe taking a more holistic approach can reduce a business ownership costs and carbon footprint. We are keen to work towards a design that accounts for operating costs rather than saving on construct costs. 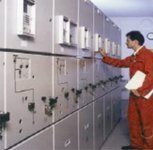 We regularly maintain systems that have focused heavily on saving money during the construct stage only for the operate costs to be wholly excessive for the sake of a few pounds saving during design/installation. Please contact us to review your needs and to share our ideas in this area. With the increasing pressures of new legislation and the perpetual need to drive improvements and ROI all business's are searching for new ways to drive greater efficiencies into their enterprise. 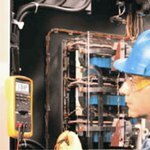 At EcoElectrical Services we aim to partner our customers in a continuous process of improvement with a perspective that considers the whole life of your process. Whether the need is for a simple relamping exercise using high efficiency, longer life lamps or a more aggressive efficiency drive in automation process or energy management systems we are keen to help you qualify the most suitable energy saving initiative for your business. Please contact us if you would like to discuss and validate your ideas. EcoElectrical Services also provides its industrial customers with surety of indemnity on all work carried out to a value of ?2million covering both Public and products liability. 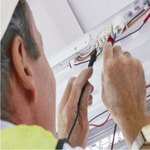 Fully qualified electricians and engineers focusing on your needs, reliably delivering highest quality of service to the required standards. EcoElectrical is based in Northampton, Northamptonshire covering Northampton, Kettering, Olney, Wellingborough, Rushden, Irthlingborough, Oundle, Market Harborough, Corby, Daventry, Milton Keynes, Bletchley, Buckingham, Roade, Brackley, Bedford, Byfield, Banbury, Peterborough, Saint Neots, Huntingdon, Bletchley, Bedford, Biggleswade, Sandy, Flitwick, Stony, Stratford, Wolverton, Leighton Buzzard, Towcester, Silverstone, Newport Pagnell and surrounding areas, and specialises in all aspects of residential, commercial and Industrial electrical contracting and maintenance. EcoElectrical covering the counties of; Northamptonshire, Bedfordshire, Buckinghamshire and Cambrigeshire offer an efficient, highly responsive service, 24 hours a day, 365 days a year.